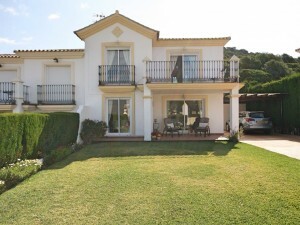 Stunning corner Villa full of character and charm with lovely terrace views of the coast. 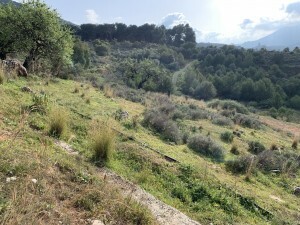 Situated in a very sought out area in Mijas Costa close to all types of amenities and only minutes´ walk from the beach. This spectacular property offers 4 double bedrooms, 4 bathrooms and a lovely solarium/terrace with stunning views. It has a generous amount of space with a 966m² plot, of which 288m² is currently being used as living space. The house itself if is in very good condition but would make an excellent opportunity for a person to take it and renovate it into a beautiful house. This villa also benefits from having a communal pool, and the opportunity of adding a private pool to the property due to the ample space in the garden. Ground floor: entrance hall, large living room with fireplace and access to the porch. Equipped kitchen with dining table and access to the garden. Double bedroom with wardrobes, direct access to the garden and en suite bathroom. Guest bathroom. Upstairs: 3 double bedrooms with fitted wardrobes and 2 bathrooms (1 en suite). 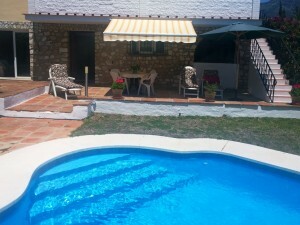 2 bedrooms with access to terraces with sea views. Another large sunny terrace with open views to the mountains and the sea. Elegant driveway and 2 car garage plus wine cellar. IBI 1.560,24? per year. Community 729,40? per year. Rubbish 149,85 per year.